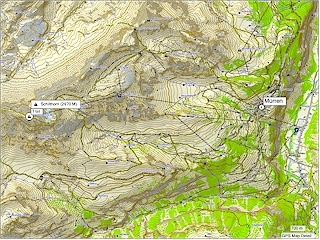 The topographic map of Switzerland ("Topo Swiss") is available in two different versions: Topo Swiss V2 on CDrom and Topo Swiss Pro on µSD/SD memory card. 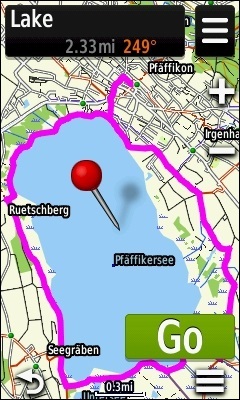 The image below shows the coverage of the map. 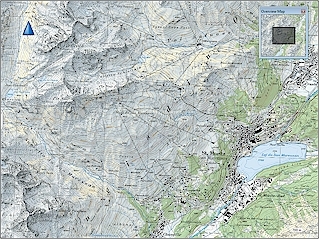 See also Switzerland Lakes with detailed topographic maps of major Swiss lakes. 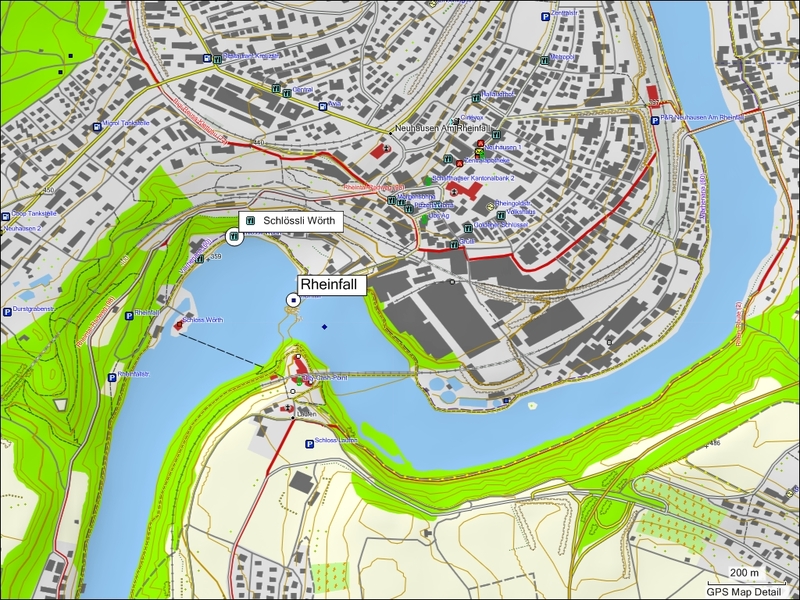 Activity based map display features, e.g. 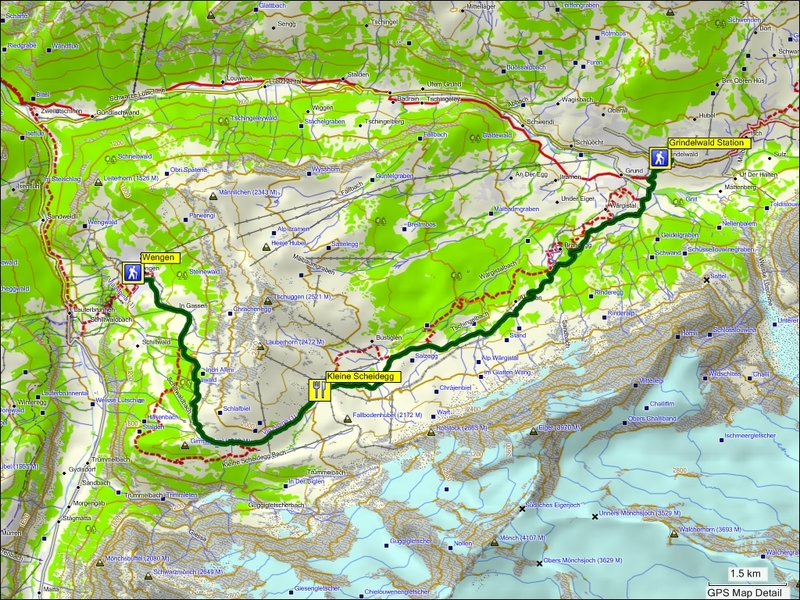 for alpinists, bikers or hikers. 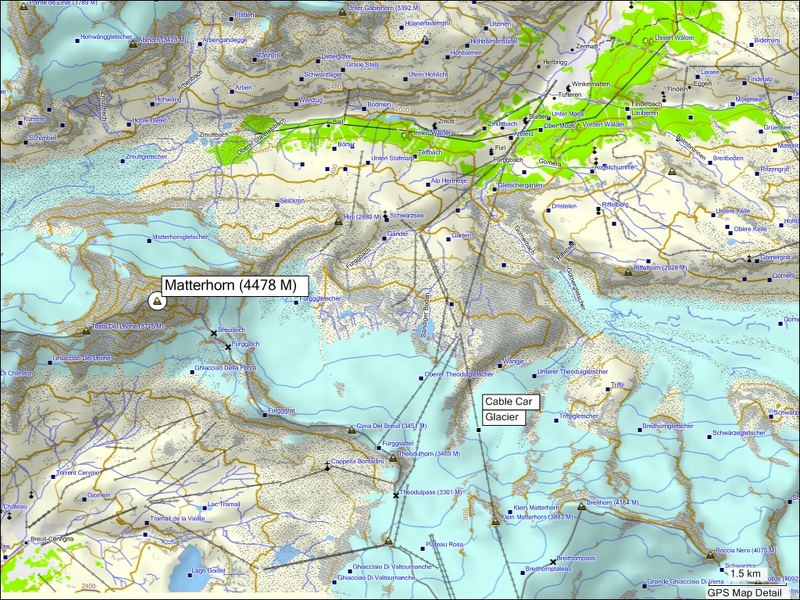 Topographic winter map in vector view showing slopes with grades more than 30°, ski tours and Swiss Cabins. 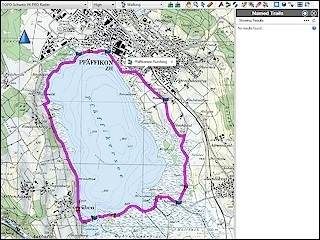 SchweizMobil hiking and biking routes with name and number, see www.schweizmobil.ch. Features: CDrom or Memory Card ? 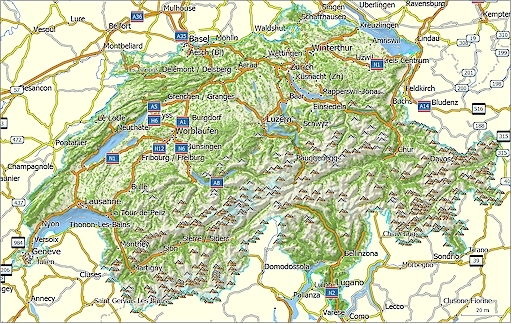 These products provide very detailed topographic maps of Switzerland, see examples below. They are available on two different media: CDrom and µSD/SD memory card. 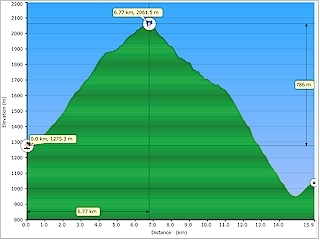 What are the differences ? 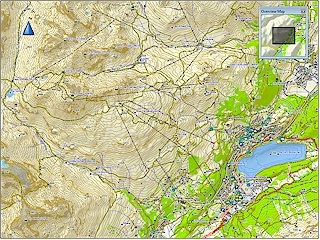 The CDrom has the advantage that the detailed maps are installable on a computer where they can be used independant of the GPS or the data medium. 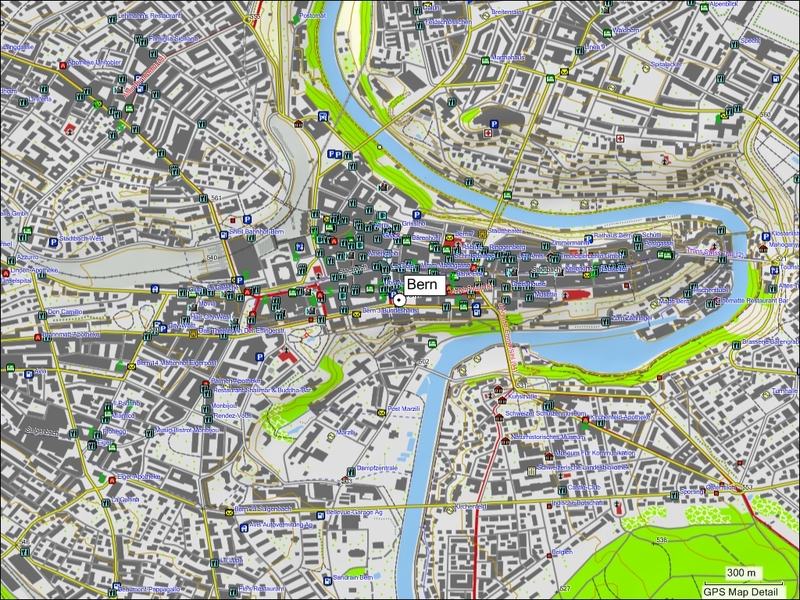 On the other hand, the maps must be unlocked for particular GPS devices - you can unlock the maps for two units. 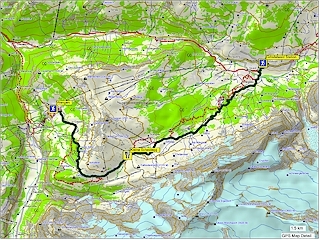 In addition, the detailed maps must be transferred from the computer to the GPS device, which might require a significant amount of time, depending on the amount of data you wish to transfer. 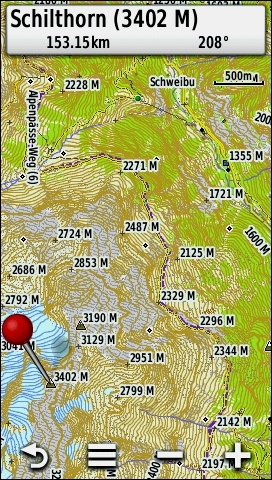 Topo Switzerland on CDrom is divided into 248 areas and requires a total of 367.5 MB memory on a GPS, but a single area requires only 2.21 MB or less. 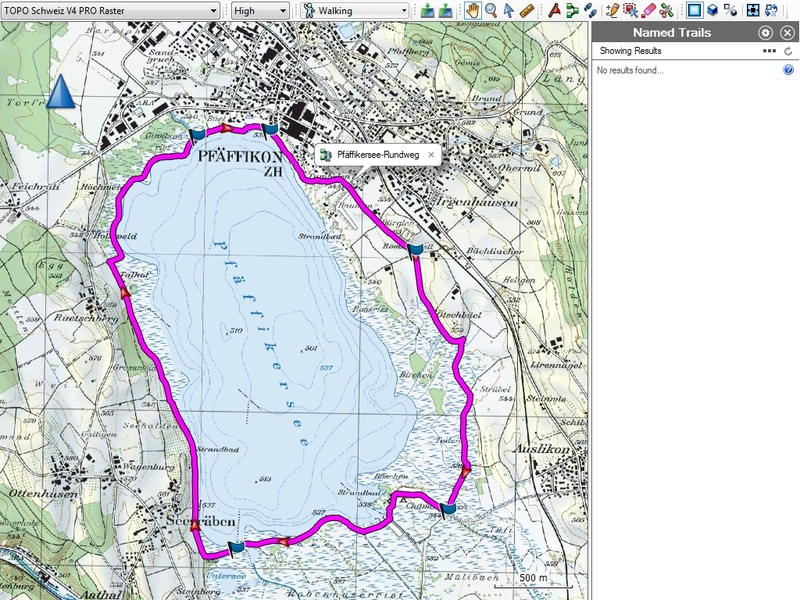 Depending on the amount of memory available in the GPS device, one or more areas can be transferred to any GARMIN GPS device that supports maps. The CDrom comes with Topo Switzerland V2, which supports vector view only. A full installation Requires approx. 500 MB disk space. 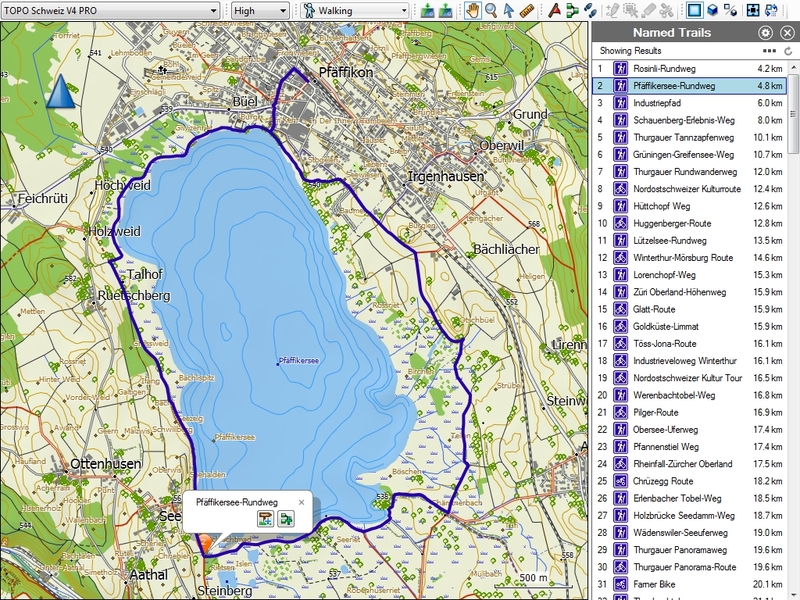 Map data based on release 2007. 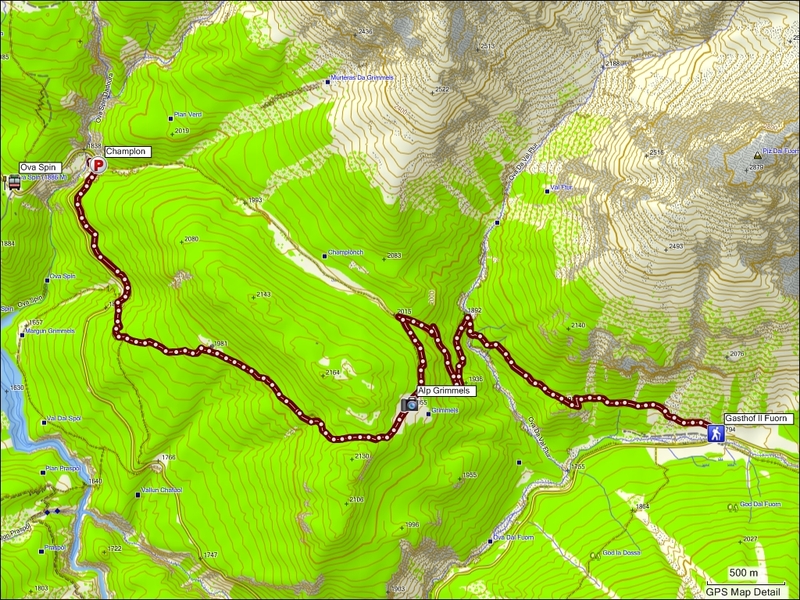 The µSD/SD memory card has the advantage that the maps are immediately available as soon as you plug in the memory card. 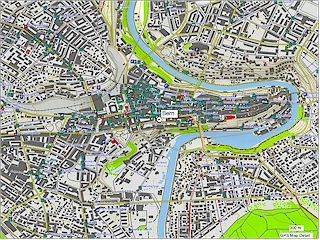 In addition, you may use the maps on any number of devices, but only on one device at the time. The GPS has to have a SD or µSD slot. The data is stored on a µSD memory card, but an µSD-to-SD adapter is included. 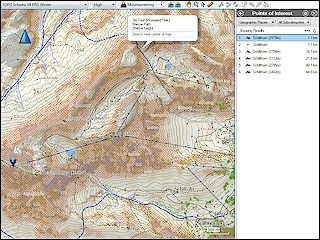 In order to use the maps on a computer, the free software BaseCamp must be installed and you must connect the GPS with the computer using the USB cable, see also MapSource versus BaseCamp. If your computer has a slot for an SD memory card, you may plug in the card into the computer directly, which provides faster access to the data. 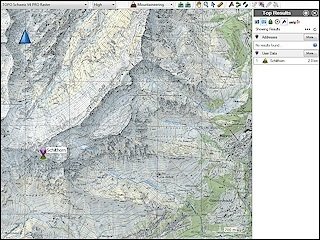 The memory card comes with Topo Switzerland Pro, which supports vector and pattern view, see images. 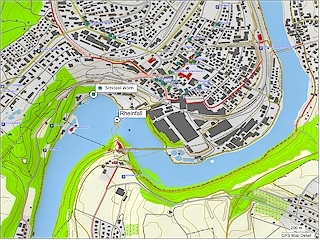 Map data based on release 2013. System requirements for versions on CDrom see here. 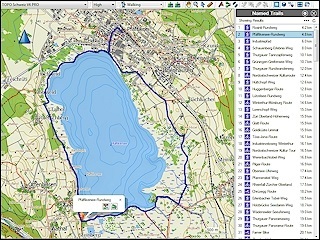 Topo Switzerland V2 is only supported on Windows computers. BaseCamp on the other hand is available for Windows and Mac OS. This product does not include a cable for data exchange with a PC. If you need such a connection cable, see our selection of options. 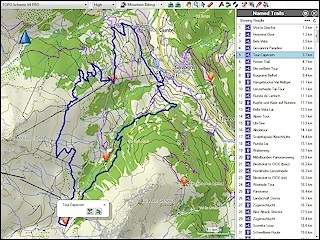 A very helpful supplement to the program MapSource is the software GARMIN BaseCamp, see www.garmin.com/support/mappingsw.jsp. 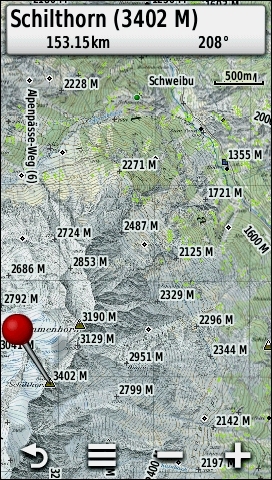 This is especially true if you are using a GPS from one of the following model series: Colorado, Dakota, Montana, Monterra, Oregon or GPSmap 62. 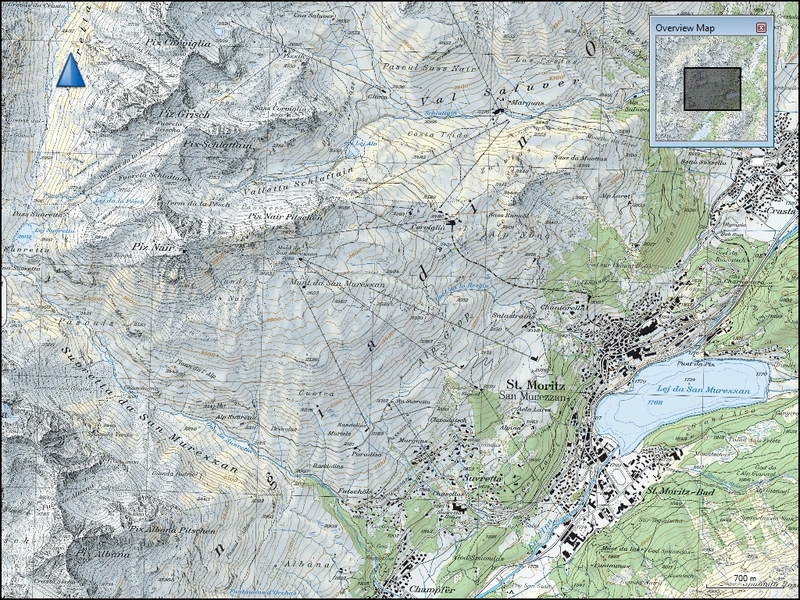 Significant increase of the level of details: If there is as built-in map, the map of Switzerland will overlay this map. 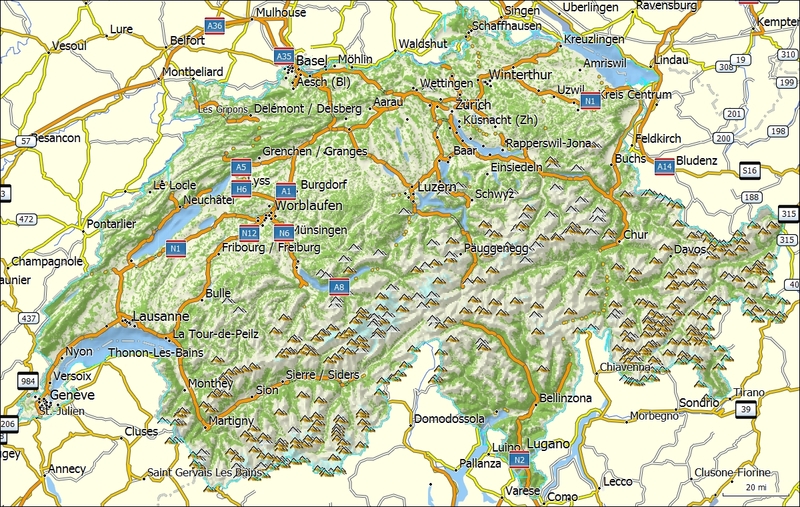 Outside Switzerland, the built-in map is still available. 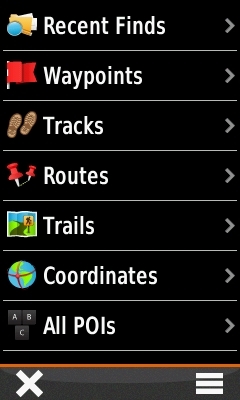 Most GPS devices support enabling and disabling maps, so you can easily switch between multiple maps. 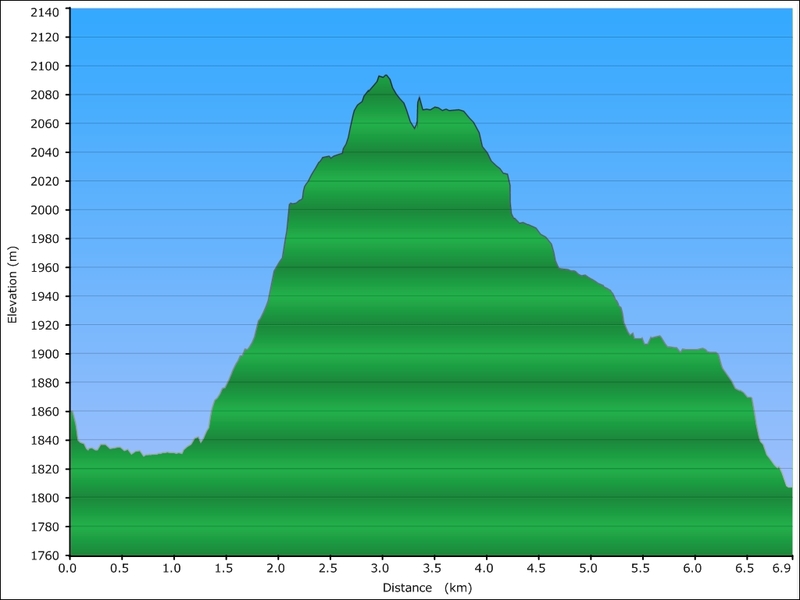 If your GPS device supports profiles, you can bind different maps to different profiles. 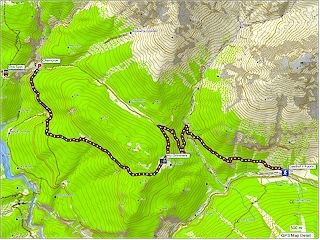 Autorouting on a PC: Computes routes on a computer and provides elevation profiles of such routes. 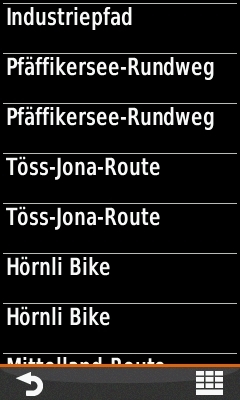 These routes can be transferred to a GPS device. 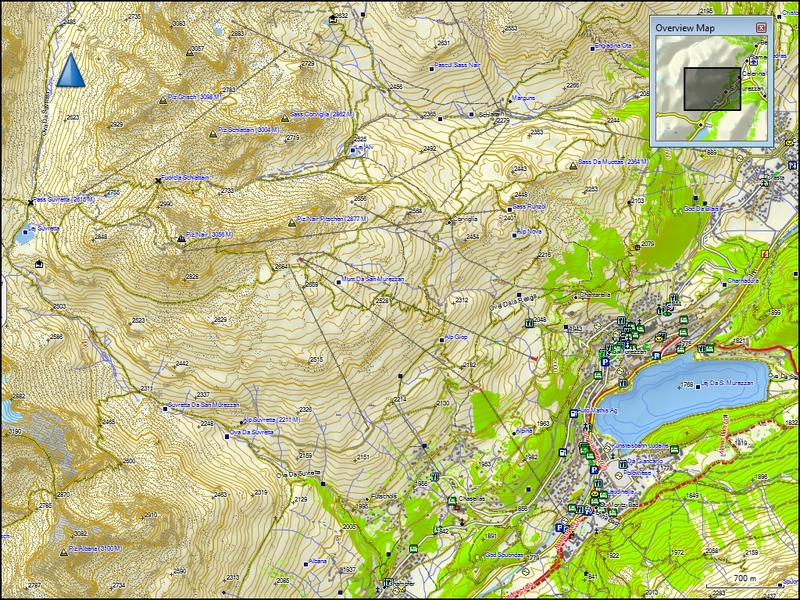 Map on computer: Topographic map of Switzerland, shows elevation contours and natural features plus official hiking and biking routes which are clearly marked and indicated by their number or name. 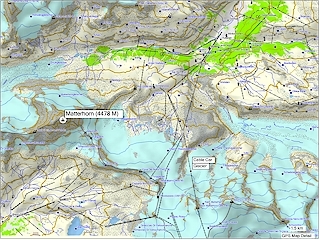 Note: Version 4 Pro is only supported by the more recent models such as Dakota 20, Edge 800/810, etrex 20/30, GPSmap62/62s/62st, GPSmap78/78s and by all models of the Montana, Monterra and the Oregon series, use V2 for older models. 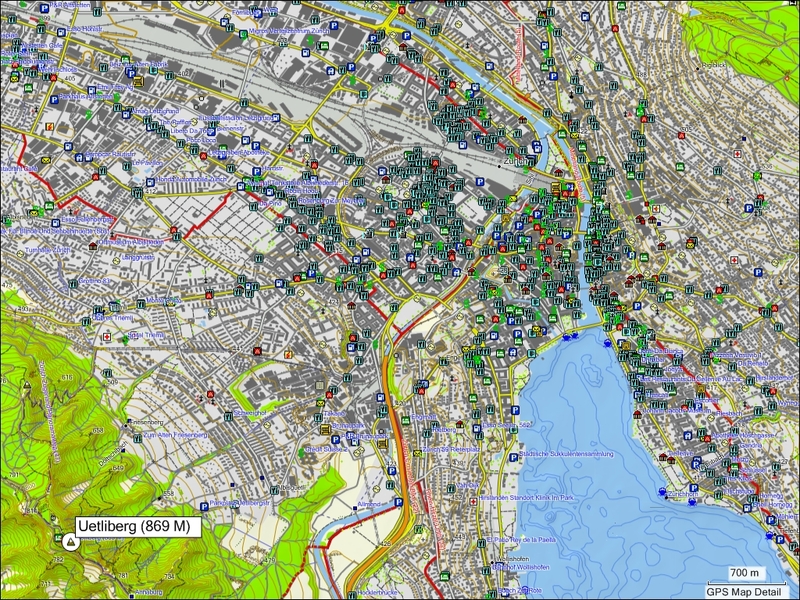 There is an update available for previous versions of Topo Switzerland, see below. 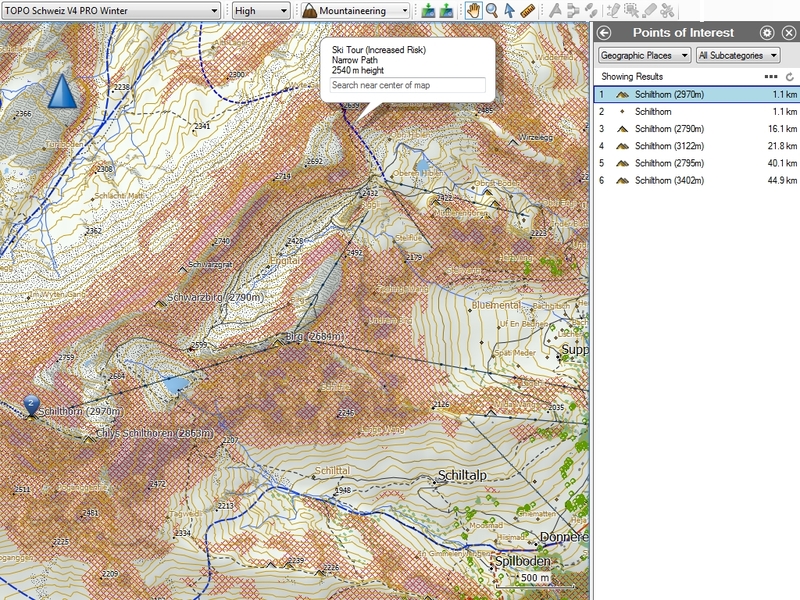 Topo Switzerland Pro is only available on µSD memory card, there is no version on CDrom. 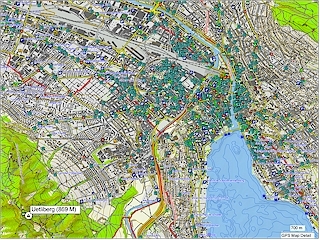 Important: For a successful update, you must own a previous version of Topo Switzerland. If you own a CDrom, please provide the 16 character activation code (to be found inside the CD cover) and the date of the invoice as a comment in the order form ! If you order an update for a memory card, you must return the memory card together with a copy of the invoice to us. 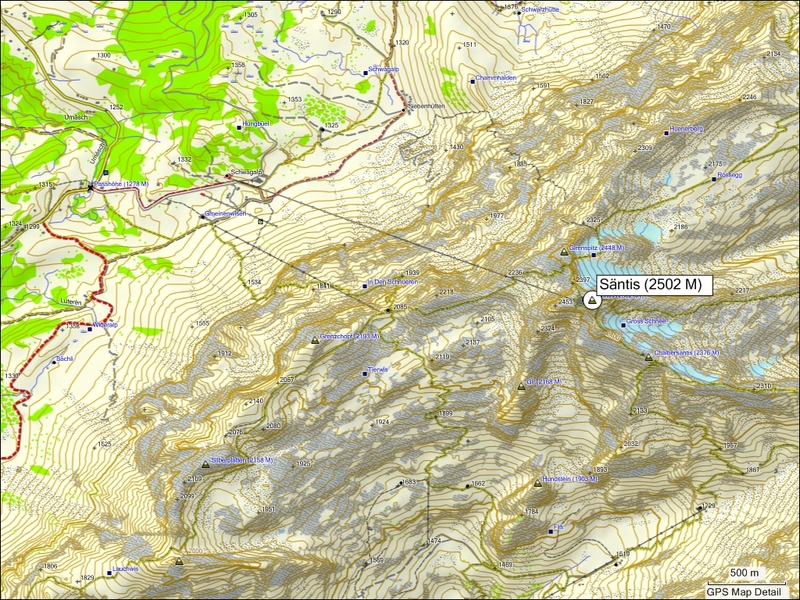 The two pictures below were taken on a PC with the free available software GARMIN BaseCamp. 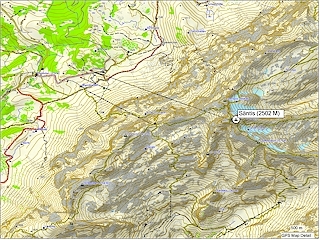 The two pictures below were taken on a GARMIN Montana 650t (no enlargement). 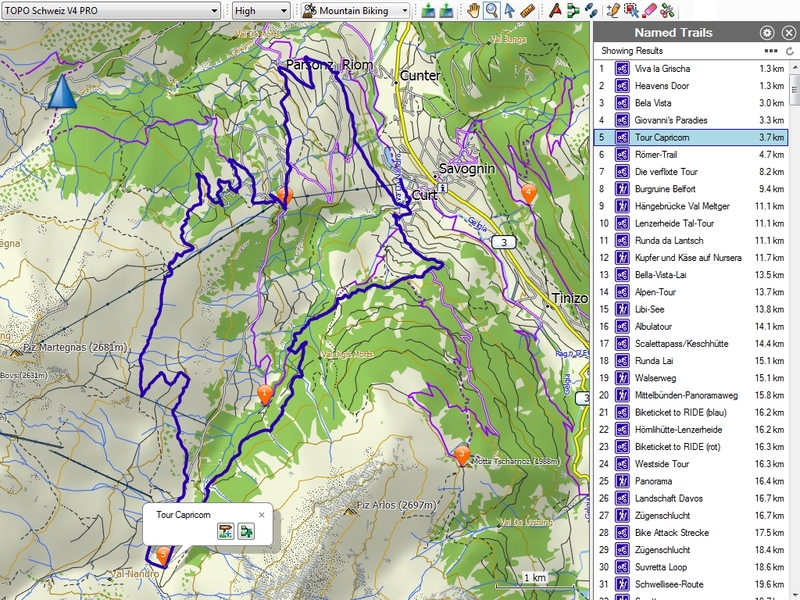 The four pictures below were taken on a GARMIN Oregon 650t (no enlargement).